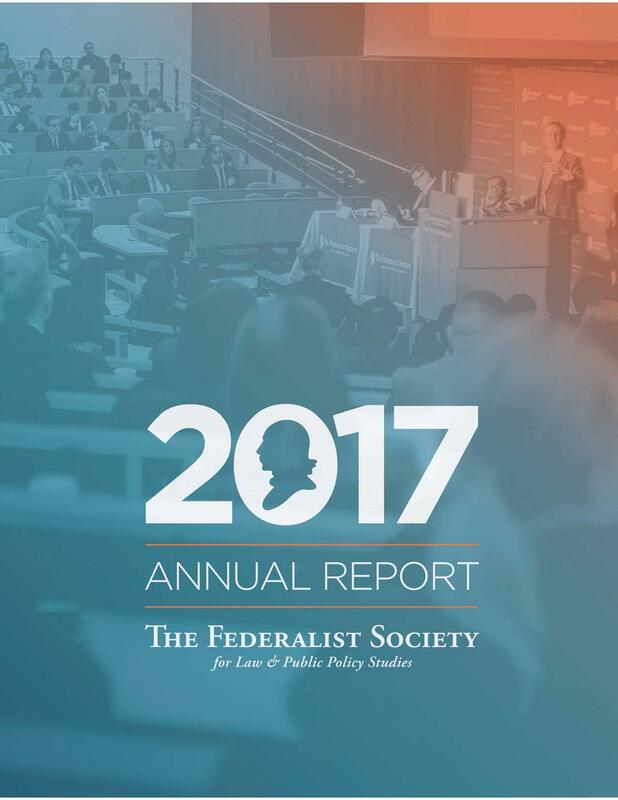 The Federalist Society’s tremendous growth has been made possible in large part by our benefactors, particularly the members of the James Madison Club for major donors. Without substantial increases in income, the Society’s ambitious plans for membership, programming, and chapter expansion could not succeed. In this time of great opportunity and need, the members of the James Madison Club are enabling the Society to establish itself as the center of legal and public policy debate. Today, the Federalist Society is moving forward with many important projects and remarkable general institutional growth. As we proceed with these efforts, the James Madison Club remains an essential component of the Society’s strategy to restore the principles of limited government, individual freedom and responsibility, and the rule of law to their proper place in American law and public policy. The James Madison Club recognizes major contributors to the Federalist Society. Membership in the Madison Club is available to those who contribute $1,000 or more annually. Benefits include invitations to special networking and celebratory events and public recognition (unless otherwise requested). If you would like to become a Madison Club member, please visit our donate page.